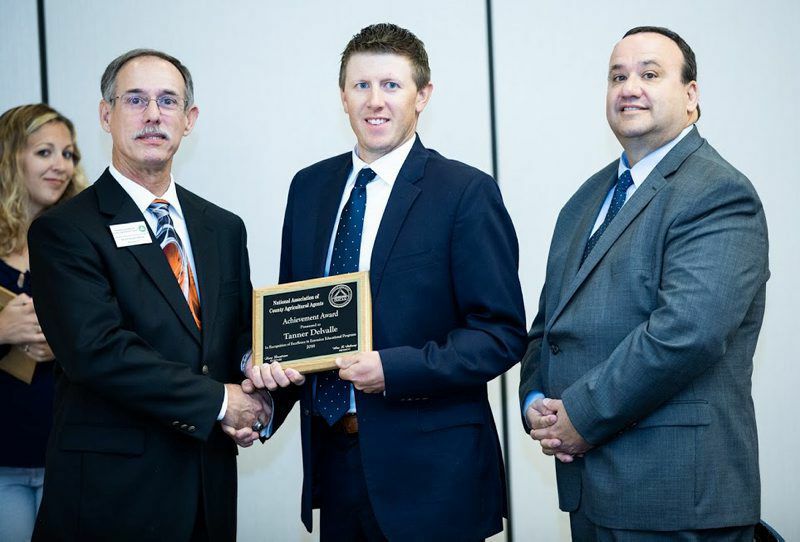 Tanner Delvalle has received the 2018 Achievement Award from the National Association of County Agriculture Agents during a conference in Chattanooga, Tennessee. This award is given to agents with 10 years or less of service in cooperative Extension who have exhibited excellence in the field of Extension education. This award is only presented to 2 percent of the county Extension educators in Pennsylvania each year. Delvalle is a commercial horticulture Extension educator for Penn State Extension. He primarily covers Berks and Schuylkill counties across horticultural commodities including turf, ornamentals, right-of-ways, small fruit, vegetables, Christmas trees and hops. He also conducts research on hops production at a research hopyard in State College. In addition to horticultural programming, Delvalle is a certified remote pilot for small unmanned aircraft systems.